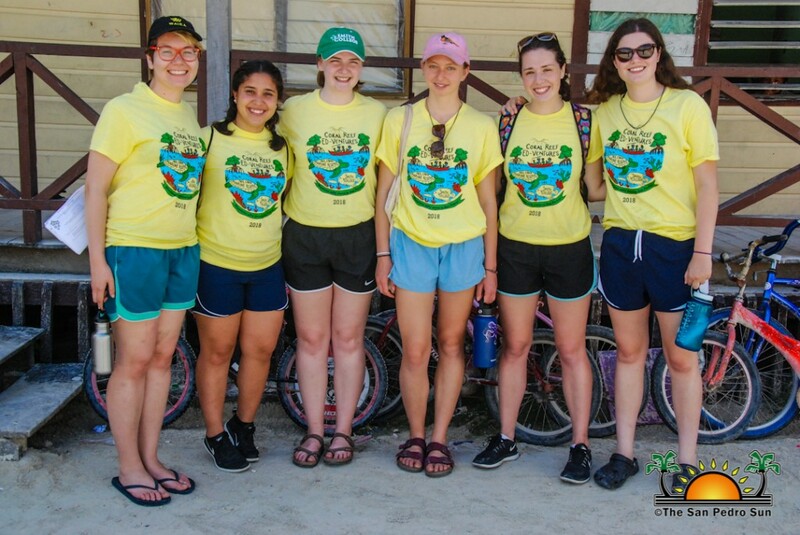 Home » Conservation » Education » Environment » Coral Reef Ed-ventures’ summer camp is back! The six students visited several primary schools on the island, starting Wednesday, May 6th in an attempt to promote the summer program that will be taking place at the San Pedro High School. 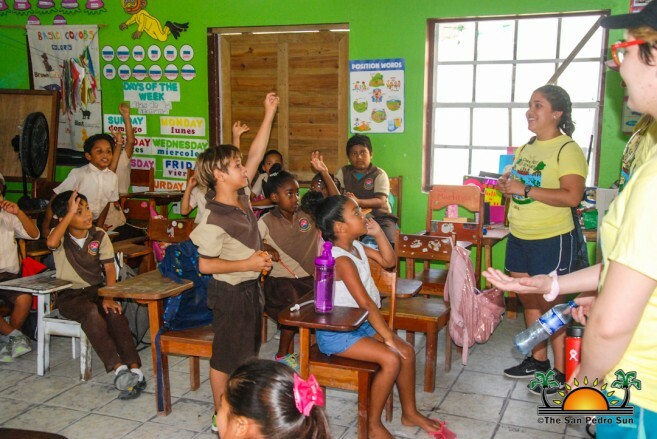 Headed by Vera, the group visited several classrooms inviting students to join the program while performing a short play portraying the negative effects of plastic on wildlife on the coastal zones. 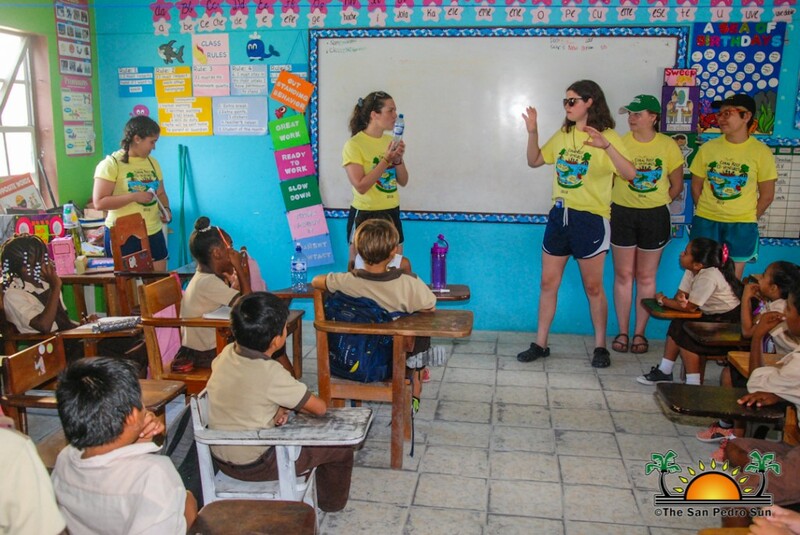 The short skit also taught students the importance of properly disposing of plastic materials. The students responded enthusiastically and are all eager to be part of the camp. The group explained that the summer camp is broke down in two separate activities. The first one is the Reef Program geared towards students ages 12 and up, and set for June 25th through June 29th. Campers will meet at the San Pedro High School from 4PM to 6PM, focusing on mapping to find the impact of plastic pollution, erosion, and activism in the community. Additionally, there will be field trips to the beach, mangroves, and the reef as part of the mapping activities. The second part of the camp is for children from ages of 7 to 12 from July 2nd to July 12th. This part of the summer program will be hosted from 9AM to 12PM, focusing on connections as students learn about their own interactions with the ocean and how their actions impact the environment. According to Vera, the Smith College team will also be hosting two movie nights to further advocate the conservation of Belize’s marine system. On June 13th, the movie Surf’s Up will be shown, followed on July 7th by Blue Planet 2. Both movies will be featured at the Lions Den starting at 7PM. Everyone is welcome to enjoy these two films. Snacks and drinks will be provided. The camp will culminate on Thursday, July 12th, with a graduation ceremony at the Lion’s Den, starting at 7PM. Family and friends are more than welcome to attend this memorable event. All interested parents are encouraged to sign their child/children up for the program. Camp registration forms are available at the San Pedro Town Library on Barrier Reef or at the Hol Chan Marine Reserve Office on Caribeña Street.